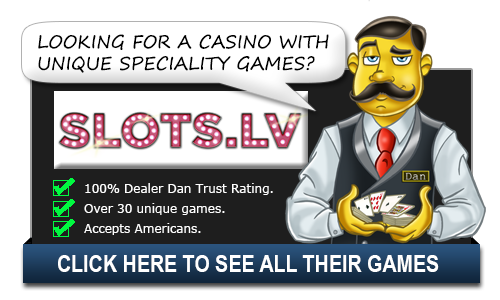 Poker Pursuit - Play Online - Casino Answers! Poker Pursuit is an online casino game whose software is supplied by Microgaming Software Systems. While developing Poker Pursuit, which is classified as a table game, Microgaming sought to merge two types of poker—video poker alongside casino poker. The basics of Poker Pursuit have a striking resemblance to other games such as Let It Ride and Five-Card Stud. This poker version uses 52 playing cards, wherein one Poker Pursuit round uses five cards. First of all, players are required to place their stake, unless they are using demo credits. Secondly, they press the “Deal” icon, wherein five playing cards are dispensed; three of which are facing up while two of them are facing down. Third, players can opt to adjust their bets, depending on their assessment of the face values of the three revealed cards. The “Raise” icon adjusts the stake. Fourth, they press the “Call” icon, which reveals the face values of the other two playing cards. Payouts are offered accordingly. The payouts are divided into two sections. The first pay table, which is on the top left side of the screen, has the most attractive payouts. Hereby, players are paid a thousand times their stake if they have a Royal Flush. Having a Straight Flush attracts a payout that is 200X the stake. Getting a Four-of-a-kind hand results to 50X the stake. Lastly, a Full House is awarded 12X the stake. The second pay table, which is on the top right side, offers: 9X the stake for a Flush, 6X the stake for a Straight, 4X the stake for a 3-of-a-kind hand, 3X the stake for two pairs, and twice the stake for 10 or higher. Poker Pursuit usually lets players stake an ante bet (these are interpreted as a coin) valued at $0.50 to $10. Players can adjust the stake using the “+” and “-” icons, but the maximum is three coins, which implies a possible payout of 3000X. An advantage of Poker Pursuit is that players are not required to play against anyone, unlike in some casino games where players face a banker or dealer. The software supports different languages and playing can be automated. The settings enable the players to set the desired speed. Poker Pursuit has disadvantages. For instance, card switching is not enabled. Poker Pursuit, which lacks bonuses, has a non-progressive jackpot. Despite its long existence, Poker Pursuit was barely remembered until recently when Microgaming’s software enabled Internet casino operators to add it to their lists of online games. As such, relatively few players are enthusiastic about playing it. Poker Pursuit has a return to player (RTP) rate of 97.09%. The house edge associated with Poker Pursuit is 3.57%. A recommendable strategy is to always press “Raise” when the playing conditions are conducive. For instance, when dealt a Jack and Queen and King in form of Spades, it is logical to click “Raise” so as to reveal the next (forth) playing card; contextually, it is illogical to press the “Raise” icon after the forth card has been dealt.